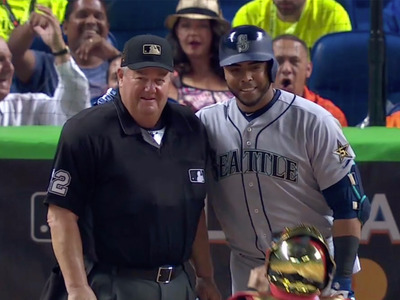 According to the Seattle Times, Cruz and West’s relationship goes back to Cruz’s rookie season, where the longtime umpire was forgiving of a mental error by the young player. While sprinting for second base, Cruz stayed upright when he should have slid. He was worried he’d just made a costly baserunning error, but West called him safe. It’s a moment Cruz still recalls fondly, and surely a reason why the picture was such an important goal of his All Star Game. You can watch video of the photo op below.